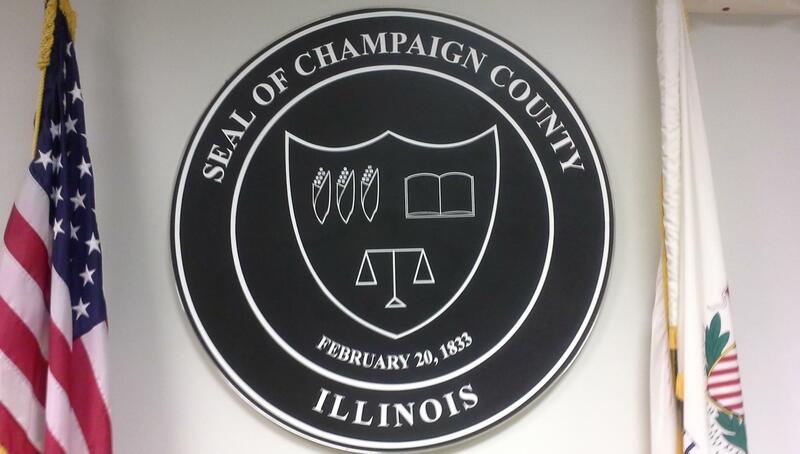 Seal of Champaign County, displayed in the County Boardroom at the Brookens Administrative Center in Urbana. Three Champaign County Board candidates whose nominations faced challenges will now get their names on the November ballot without opposition. The Champaign County Clerk’s office says the objectors challenging the two Democrats and one Republican withdrew their objections Friday morning. The objections had been filed against Republican P.J. Trautman and Democrat Charles Young in County Board District Six, and incumbent Democrat Christopher Stohr in District Ten. County Clerk Gordy Hulten had rejected charges of bias from Democrats who wanted him to recuse himself from sitting on the county Electoral Board that would have decided the cases. But he said in a news release that he was grateful the objections were withdrawn.